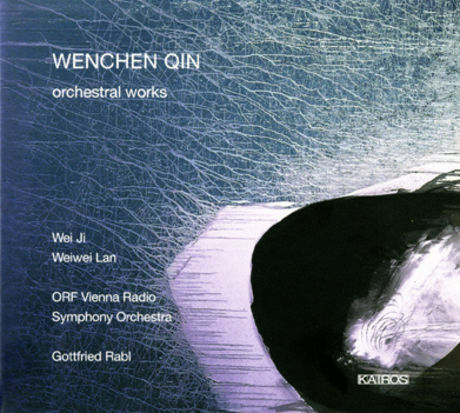 The production of four works by the Chinese composer Wenchen Qin by the ORF Radio Symphony Orchestra Vienna dates back two years. At the beginning of March 2016, ORF had decided to include the works "Echoes from the other Shore" for Zheng and orchestra, "The Nature's Dialogue" for orchestra and accompaniment, "Across the Skies" for pipa and orchestra, and "Lonely Song "For 42 strings of the famous composer. Now these recordings, which also involved the Zheng virtuoso Wei Ji and the pipa interpreter Weiwei Lan, are released for release on the Kairos label. The Zheng is a historical string plucking instrument from China and is also called Guzheng in its old form. On an elongated body several strings are stretched, the number of which initially increased from five to thirteen in the 6th-10th. Century and later increased to sixteen. The simple sound of the instrument is reminiscent of the harp. The Pipa, on the other hand, is a very characteristic lute instrument of China with an unusually distinctive timbre.